Whether you’re ready to launch the online portion of your business, or you’re looking to change service providers; knowing how to choose the best hosting for your needs is a great start. On April 7 a serious security vulnerability (CVE-2014-0160), code name Heartbleed, was disclosed in the OpenSSL library. Like much of the internet, I responded to this critical issue by conducting a security review of our servers to ensure my friends and clients are safe. For the majority of websites, a shared hosting account is sufficient. However, if you have a high traffic website or are hosting an E-Commerce store, it is highly recommended to opt for a VPS hosting account. Read more to discover the important differences. Why do you need a web host and what are the benefits? Dear @freshbooks I love Winston on your Support team. THANK YOU! 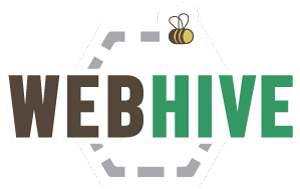 Web Hive is based in Barrie, Ontario. We have a client-focused approach to how we do business, and we want to provide all of our customers with the best service, regardless of the package they choose. Our goal is to be best so we can help you become the best. Additionally, Web Hive aims to be a sustainable business with very little turnover, incredible support and amazing clients like you! © 2010 - 2019 Web Hive. All Rights Reserved.